I'm a huge nut fan. Peanuts, cashews, pecans.. I love them all! With so many nut products on the market, however, I always get impressed by newer and more innovative flavors (especially natural ones!) The newest offerings from nut professionals Sahale Snacks have certainly gotten the nut thing down. 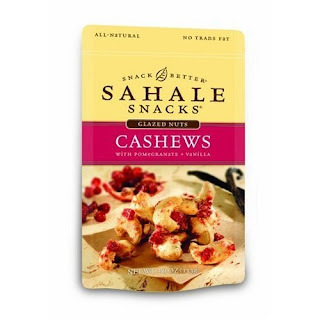 When I need quick pick-me-up, Sahale nuts have been the FIRST thing I reach for, expecially since trying my favorite flavor of all -- Cashews with Pomegranate + Vanilla! This yummy product is a bag full of fresh whole cashews in a slightly sweet vanilla infusion and tiny pieces of dried pomegranate fruits. 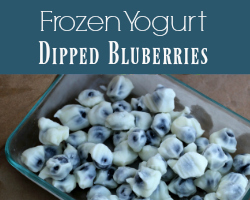 This is a perfect dessert, without the guilt. You can have quite a few of these in each serving! Just one of the 4 flavors being sold at Walmart, the Vanilla/Pomegranate blend is quite a flavor contrast to the other varieties, especially the Sing Buri Nut Blend, which features cashews, pineapple, peanuts and sesame seeds glazed with soy, lemongrass, and mild Chinese chili. It sounds a bit strange all mixed up together, but it is suprisingly good! If you like to try new foods and want to give your tastebuds a bit of a zing (while getting the health benefits of nuts), you will want to give these a go. 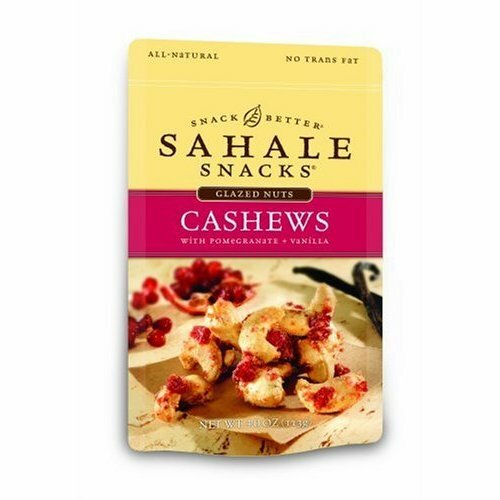 You can read about the entire line of Sahale Snacks at their website. To be entered to win, simply comment on this post with which flavor you predict you'll like the best! You have until August 17th at 11:59 pm CST to get your entries in. 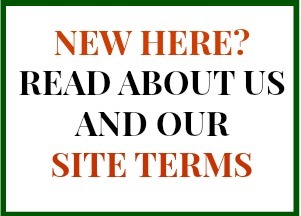 Giveaways are subject to complete site rules. Open to persons 18+ U.S. only, please. (Be sure to give us a way to reach you if you win, and remember that we will never use your email or contact info for anything other than to send your prize.) Good luck, and be sure to check out all of our other giveaways! I would like Cashews with Pomegranate the best :) *Thanks* for the giveaway! I think I would like the Roasted Almonds with Honey + Sea Salt the most. Sing Buri Nut Blend...my husband & I like spicy things and this sounds fun to try! They all look good but I think I would like the Roasted Almonds with Honey + Sea Salt best. I think I'll like the Valdosta pecans best! I think I would like the Cashews with pomegranate and vanilla. The Cashews and pomegranite sound perfect! Valdosta Pecans sound yummy to me! Omg pom cashews?! Sounds special! I hope I win! I think I'd like the Roasted Almonds with Honey and Sea Salt! Since I'm a "nut" about cashews, the Cashews with Pomegranate and Vanilla sounds wonderful to me! I think I'd like the Honey Almond glazed nuts. What a fun prize giveaway! I think I'd love the Roasted Almonds with Honey and Sea Salt. I think the Cashews with Pomegranate + Vanilla would be the best. I think I would like the Roasted Almonds with Honey + Sea Salt the best. My favorite would be the Cahsews with Pomegranate and Vanilla. The Cashews with Pomegranate and vanilla sounds awesome! The Cashews with Pomegranate + Vanilla would be my choice! Definitely the Almonds - nothing better than sweet and salty foods together! yum! I think the cashews with pomegranate and vanilla would be my favorite. I think I would love the Cashews with Pomegranate and Vanilla. 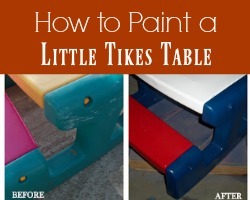 You've really made me curious and I need to seek this out next time I'm shopping! Thank you for the lovely giveaway. Cashews with Pomegranate + Vanilla is the one i am most excited to try out i just love nuts and fruits together and it is basically impossible to find pomegranate with a nut. Pomegranates are my favorite fruit, so I'll pick the Cashews with Pomegranate + Vanilla. I think I'll like the Cashews with Pomegranate + Vanilla best. Thanks! The Roasted Almonds with Honey + Sea Salt would be my guess. thanks for the contest! Cashews with Pomegranate + Vanilla sound extra yummy! the Cashews with Pomegranate + Vanilla the most.Thanks! I would like the Cashews with Pomegranate + Vanilla best. The Roasted Almonds with Honey + Sea Salt sounds good! I think I'll like the Roasted Almonds with Honey. Thanks! Yum! Roasted Almond with Honey and Sea Salt sounds delicious! The Valdosta Pecans are calling my name! I would go for 'Roasted Almonds w/Honey + Sea Salt'. Thanks for the giveaway. I would love to try the Roasted Almonds with Honey + Sea Salt ! I'd like to try Cashews with Pomegranate + Vanilla. Cashews with pomegranate and vanilla sounds yummy! The Roasted Almonds with honey and sea salt sound yummy!! I'd love to try the Cashews with Pomegranate + Vanilla. Thanks for the review and giveaway! I love to try the cashews with pomegranate and vanilla. Thanks for the chance. The Cashews with Pomegranate + Vanilla sounds heavenly. Since I live on almond butter I would say I would LOVE the Roasted Almonds with Honey + Sea Salt 4oz! Sounds so yummy! They all sound yummy but I think I'd like the Cashews with Pomegranate and Vanilla the best. I am an almond fan so I would go with that one being my fave. I usually eat my nuts plain so I am interested in how the flavors will taste.